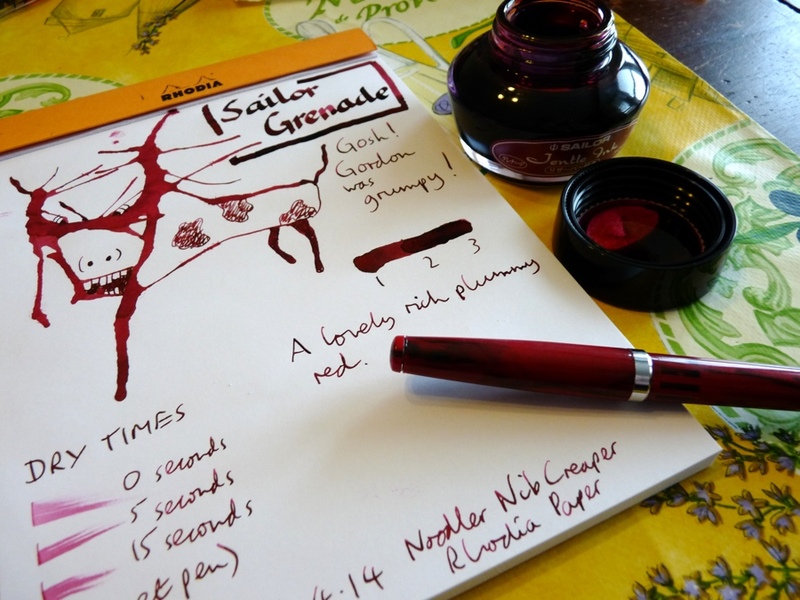 Sailor Jentle Grenade ink review – Pens! Paper! Pencils! A lovely rich dark red. 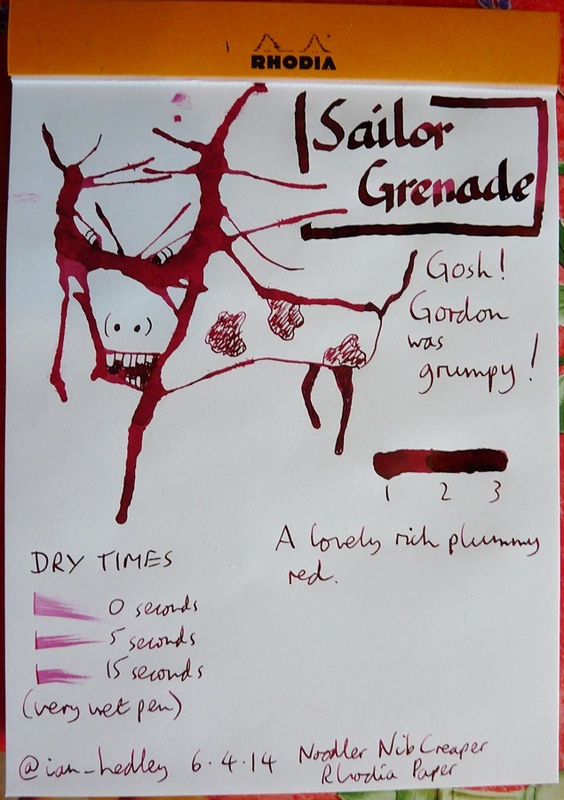 This ink dries reasonably quickly, don’t take any notice of the dry times on the review – the Noodler puts down ink like a firehose. This reminds me of food and drink. As most things do to be honest. This is a gorgeous ink. It’s an amazing ink, hard to beat it. Have you noticed the golden sheen? Great review! Thanks for sharing here. It’s a lovely lovely colour. So sad it’s going away!